For years, we implemented a unique Valentine’s Day tradition that encouraged thinking of others through out the month of February. It was a way to get our children’s eyes off themselves and make it fun to serve others. It’s so easy to get complacent in our own activities and now is a time when others need our kindness more than ever. This is something wonderful to begin right now and continue it through until Valentine’s Day or make it a month long event. 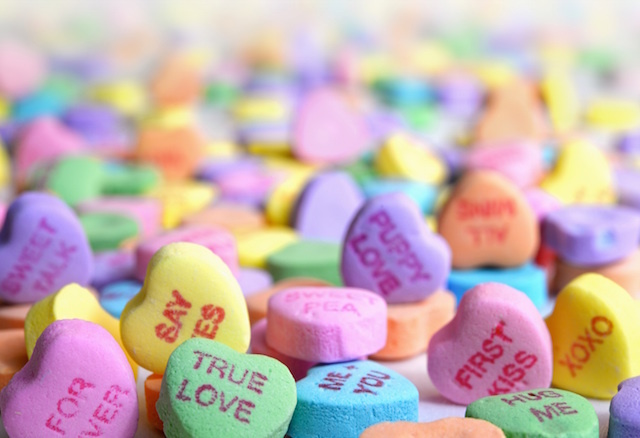 This tradition idea can be adapted to best fit the personality of your family, but we used pretty hearts during the month of February to teach the value of loving kindness to others in our lives. Find a small box or jar and invite your children to help decorate it any way you want: with stickers, artwork, photos or a big red ribbon. While we strung them in our kitchen, you can take them on their bedroom door, bathroom mirror or anywhere they choose. 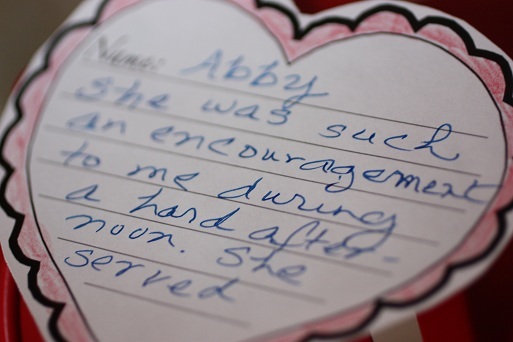 Every time you observe a family member doing something kind for someone else, or going above and beyond typical family behavior, write their name and what they did on a heart. String it up on a ribbon and hang it in the kitchen or family room for all to see. 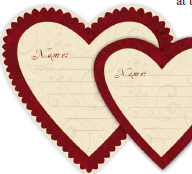 You can put four to six hearts on a ribbon by cutting a slit at the top and bottom of the heart and slipping each heart up the ribbon and then tie a knot at the top of the heart to hold it in place. 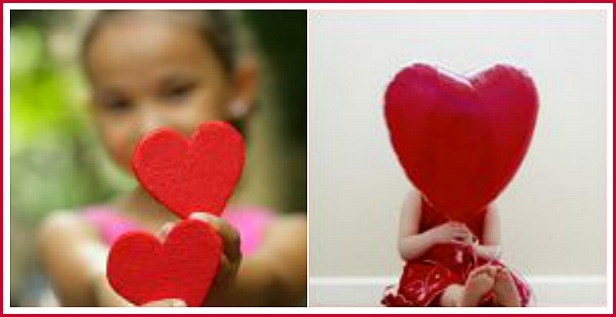 The more hearts your family sees dangling, the more they will want to add to the festive display. At the end of the month, determine what the special treat will be to end a wonderful month of looking to put others first. Remember to spend time throughout the month, dinner time works well, reading out loud each new heart. You will be reminded of the power of encouraging words as you see their faces light up as their heart is read. From a mom’s point of view, I think it’s important to focus on the “character qualities” and not just the actions. There is already so much pressure for children to “perform,” so instead of pointing out what they “did well,” also note the character quality behind it, such as perseverance, diligence, encouragement, kindness, servant-hood etc. As we build up their love tank by affirming their character qualities, the begin to understand a truer sense of their value. For instance, during a particular hard “mommy day,” my daughter made me a smoothie and served it to me. Often, I find that I want to point out what a good cook she is becoming (which she is), but my desire is to continue to encourage her sweet servant’s spirit and her thoughtfulness, not just the fact she cooks well. Now, this is something hard for the kids to understand, but I continue to point out the difference as I model a paradigm shift. Make it a family tradition to focus on the value of loving kindness every February and be sure to preserve those precious memories in a Valentine’s Day Book with a photo of family members holding their Hearts of Loving Kindness. Last year, my reader Kim, shared her idea, which is kind of combination of My Secret Valentine Tradition and this one. Love it. “Oh, I think this is a wonderful idea.. Except I’m not going to tell my guys about it.. I’m just going to hang the hearts with notes on it when they do something nice, sweet, or loving, and that includes washing their own cup late at night when all the dishes have been washed & the kitchen is cleaned & closed. Sigh.. Create your own crafty hearts or use our free heart template to print off your own hearts to enjoy this new Valentine’s Day tradition today. 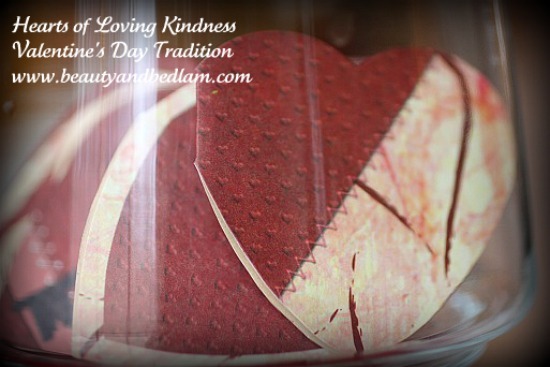 Discover lots of other inexpensive Valentine’s Day ideas at my holiday celebrations category. There is a fine but definite distinction between actions and the good intentions/character traits that prompt them. Thanks for pointing that out. I love this tradition. I think we may just write on our “chalkboard door” (large panel painted w/chalkboard paint). Maybe I will start it right now, and just see who notices…. Love this idea!!! These look great on our Valentine tree! Thanks for all your ideas.